We would not be human if at some point in our lives we have not struggled with some form of distraction, procrastination or self-sabotage. Comfort eating is a common form of self sabotage especially when weight is an issue; it can also rear it’s ugly head when weight has been lost and complacency steps in! 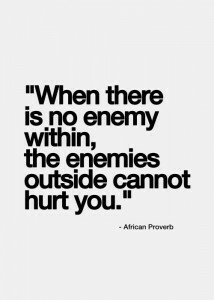 We often get into trouble trying to escape intense negative feelings that may lurk in the back of our minds or when an unexpected situation occurs. How often have you thought to yourself “I know how to lose weight but I did all the things I knew I was not supposed to do”? Self-sabotage is not an act, its a process, a complex and tragic process that pits people against their own thoughts and feelings. This is where we bring in the art of procrastination. Procrastination is without a doubt King when it comes to self-sabotage. We make an intention to act, the time comes, but instead of acting we get lost in our own deliberation, making excuses to justify an unnecessary and potentially harmful delay. Who makes this harmful decision? We do of course! So why do we put these obstacles in our path? We are basically, and generally, subconsciously avoiding negative emotions. Instead of attempting to solve or cope with a problem, it instigates new ones. Long term weight loss goals are shattered and the downward spiral begins! When we self-sabotage our thinking becomes delusional, we fool ourselves in the choices we make. So, how can we turn this around, how can we stop self-sabotaging our diet? First of all, we need to understand the cycle; the diet is going well, suddenly I am feeling complacent and I am eating out of control, now I am upset with myself and disgusted, I eat more to make myself feel better, I’m a failure, I start my diet again and so we go on! The cycle of a self-sabotaging dieter! You can’t change what you’ve already done, but you certainly have control over what you do next. If you’ve done some unplanned munching, put it behind you. Remind yourself why you are on a diet plan, set reasonable goals for yourself and prioritise them. Weigh yourself naked once a week on the same day at the same time, no sneaky weigh ins as this is not a true reading of your weight loss and can lead to disheartening feelings of “ah well, what’s the point”! 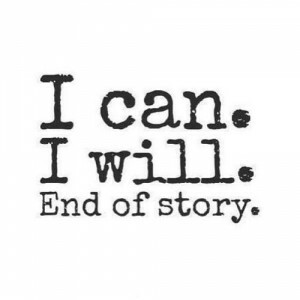 Practice positive self-talk, you would not tell a friend that they had zero willpower and they are going to be fat for the rest of their living days, would you? So don’t do it to yourself! Be kind to yourself, talk to yourself in a mirror, think of positive things to say to yourself, do this often! You may feel a bit daft when you first start doing it but it will soon become easier. Learn to congratulate yourself, no matter how small the weight loss may be. 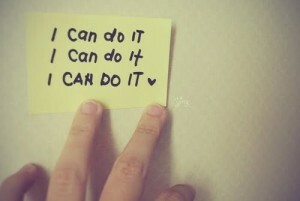 You may feel like saying “this is too difficult” try saying to yourself “I CAN do this”. Acknowledge to yourself that changing eating habits is a process! Try and give yourself credit for each and every time you correct a new habit in place of the negative one. One final thought to think about every time you feel like self-sabotaging your diet: Good habits are as addictive as bad habits but far more rewarding! The choice is yours and yours alone! ← New Year Motivation – Top tips for staying on track!